Grano arso means burnt grain. The use of burnt grain for making pasta and bread is thought to have originated a couple of hundred years ago in the cuisine of poverty in southern Italy. Now, while it may not be a necessity for survival, burnt grain is still of interest to the experimental cook. When I first learned about grano arso pasta, it went directly to the top of my to-do list. It was a must as I love to make pasta and I love toasty flavors. 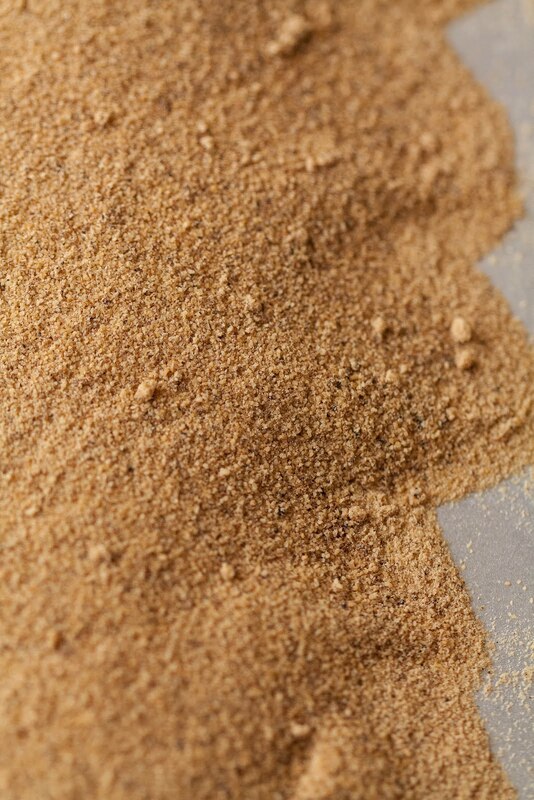 To make grano arso pasta, simply replace about a quarter of the flour in the recipe with toasted flour. I chose to make grano arso semolina cavatelli. I toasted the semolina until it was very dark—in fact, it was actually smoking when I finally decided it was dark enough to take out of the oven. Making pasta dough with the toasted semolina was no different than making it with untoasted semolina, though it did absorb a touch more water. But the color, texture, and flavor of the resulting pasta were completely different. The texture of the brown pasta was slightly grainy, and the flavor deep and toasty, reminiscent of a well-charred pizza crust. I served it in my Angry Tomato Sauce, and it was as if a base note was added to the dish. Preheat the oven to 350ºF. 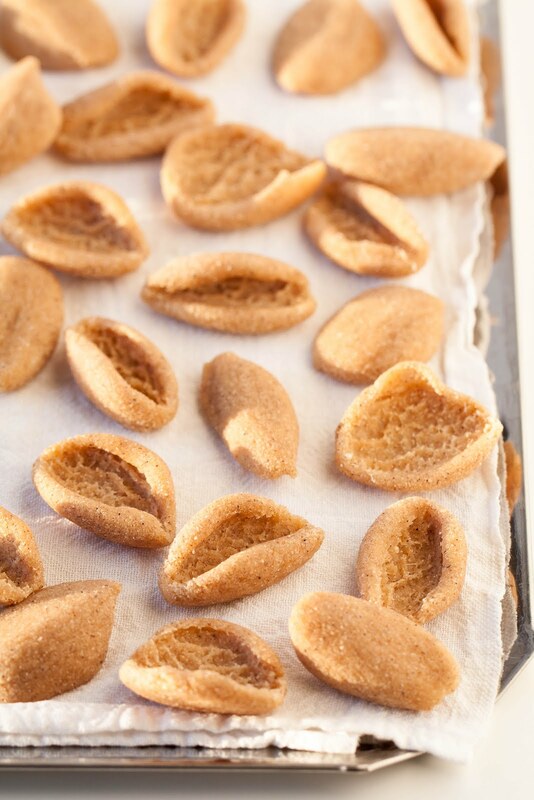 Spread 4 ounces of the semolina on a baking tray and bake for 25 to 30 minutes, or until toasted and dark brown. Let cool to room temperature. Combine the toasted semolina, untoasted semolina, and water in a large bowl and mix until a rough dough forms. The dough will seem very dry at this point, but resist the temptation to add more water. Transfer to a work surface and knead for about 10 minutes, or until smooth and elastic. Wrap in plastic wrap and let rest for about half an hour. 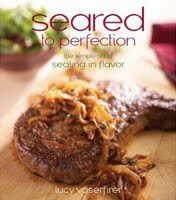 Makes about 1 ¼ pounds, enough for 4 to 6 main-course servings. Cook as you would any other pasta, in a large pot of boiling, salted water for 10 to 12 minutes, or until al dente. Regular cavatelli does not contain toasted semolina. Cavatelli can be turned inside out to form orecchiette (watch me make orecchiette in this video). 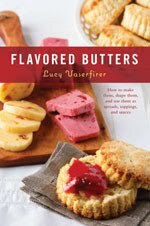 Flavored Butters Available for Preorder! Big news! 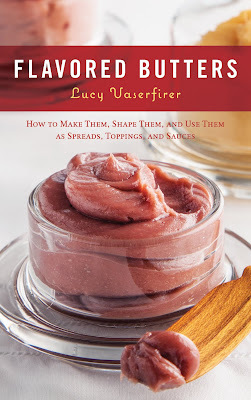 My second cookbook Flavored Butters: How to Make Them, Shape Them, and Use Them as Spreads, Toppings, and Sauces is now available for preorder on Amazon! 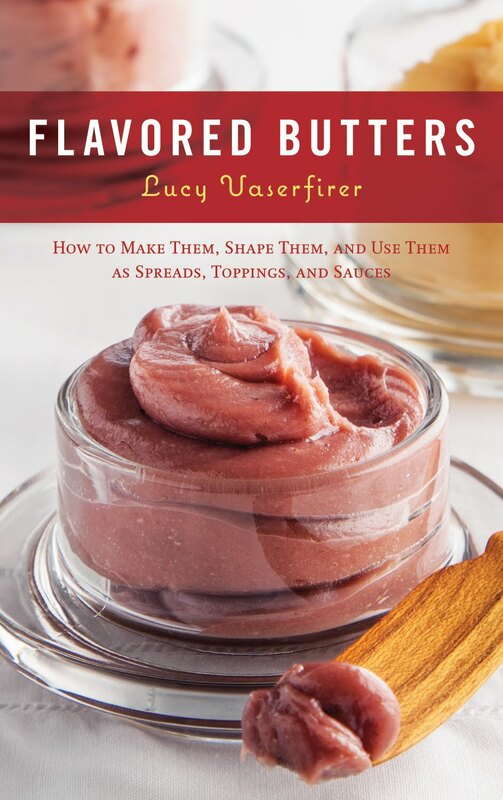 It comes out in the spring, and I can hardly wait to share the deliciousness and versatility of flavored butters with the world! 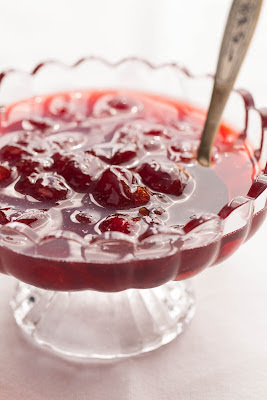 Varenye is Russian for fruit preserves. Varenye differs from American-style fruit preserves in that it's syrupy rather that spreadable. Though it can be made from any kind of fruit, in my family varenye was just one flavor: sour cherry. You can find decent quality varenye at most Russian stores, but homemade is best. 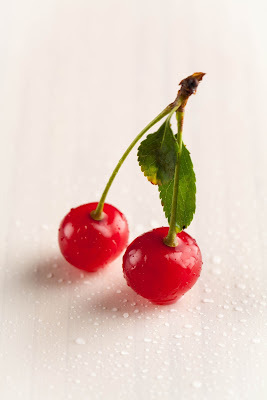 Luckily, at the very end of cherry season I happened to score some u-pick sour cherries with which to make it. But before I get to the recipe, the fall issue of Cooking Club magazine is out! 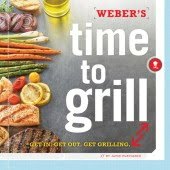 Check out the "Weeknight Cook" column (on page 46) for four recipes by yours truly. My Seared Sirloin Steaks with Horseradish Cream Sauce, Spicy Baked Catfish with Garlic Butter, Smothered Pork Chops with Onion Gravy, and Spiced Chicken Drumsticks with Blood Orange, Red Onion and Parsley Salad are simple and delicious, even if I do say so myself. Also, the fall Clark College class schedule just came out. 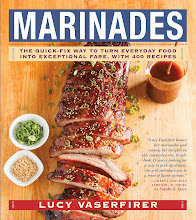 I'll be teaching Baked Custards, Seared to Perfection, and The Season for Soup. 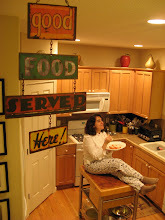 Please join me in the kitchen! 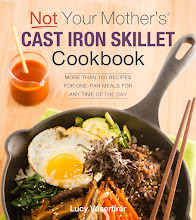 Current class listings can always be found in the Cooking Classes, Book Signings & Appearances sidebar on the right. 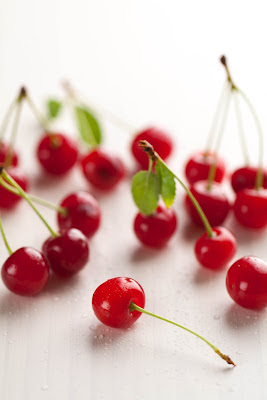 Toss together the cherries and sugar in a small saucepan and let macerate, stirring occasionally, for 20 to 30 minutes, or until soft and juicy. Stir in 4 ounces of water. Bring to a boil and simmer, stirring occasionally and skimming off any scum that rises to the surface, for 1 hour to 1 hour and 15 minutes, or until thickened and slightly syrupy. Makes about 1 ½ cups. Keeps for months tightly sealed in the refrigerator. For teatime in the Russian style, forgo the sugar and sweeten your hot tea with a spoonful of varenye.